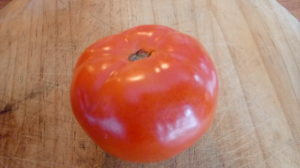 Home » Unmowed Blog » Is A Tomato A Fruit or a Vegetable? But if you’re a botanist, the word “vegetable” is not in your vocabulary. Vegetable is solely a culinary term. Botanically, tomatoes are classified as fruits, since they are the ripened ovary of the tomato flower. 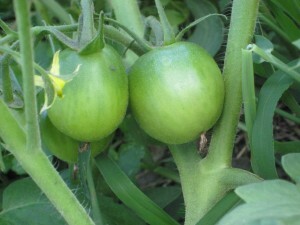 Fruits are the part of the plant that contains the seeds, the tasty key to the plant’s future. Apples are fruits. Hot chili peppers are fruits. Zucchinis and eggplants are fruits. Coffee is a fruit (the bean, that is.) Black walnuts are fruits. I admit it seems bizarre to use the same word to describe strawberries and acorns, but they are both, botanically, fruits.